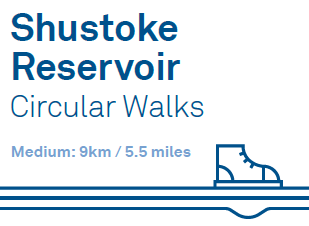 A medium difficulty circular walk around Shustoke Reservoir following public footpaths and quiet lanes. 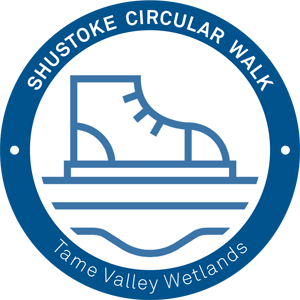 Landscape and path type: The route uses unsurfaced footpaths through arable fields, farm tracks, tarmacked pavements and roads. There are sets of steps, footbridges, slopes, pedestrian gates, kissing gates and a stile during this walk. 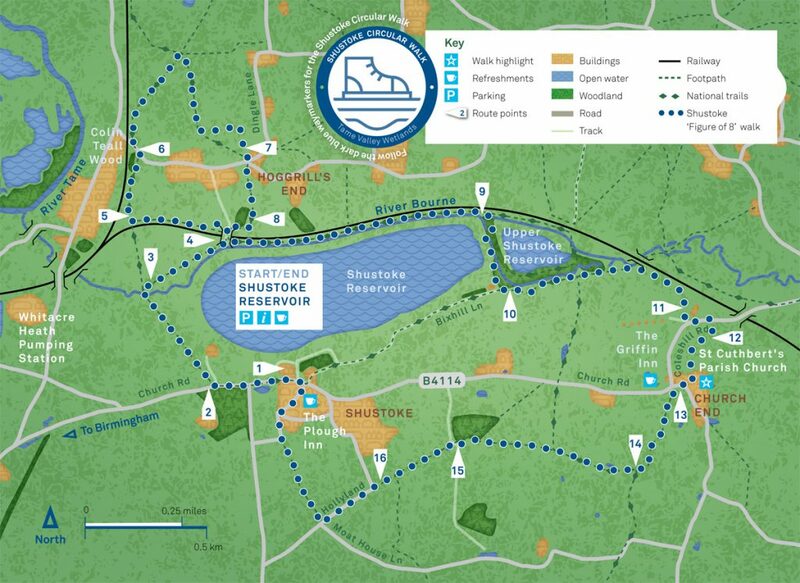 Map: OS Map 232 Nuneaton & Tamworth, Lichfield & Atherstone.